Heavy vehicle safety is everyone’s business and farmers play an important role in supporting safe, reliable road transport. Whenever you receive or send goods using a heavy vehicle – regardless of whether you own the truck or whether you employ someone to transport your goods – you are part of the chain of responsibility. 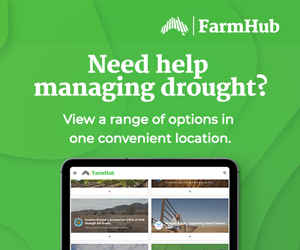 This website explains what farmers need to do in which situation. 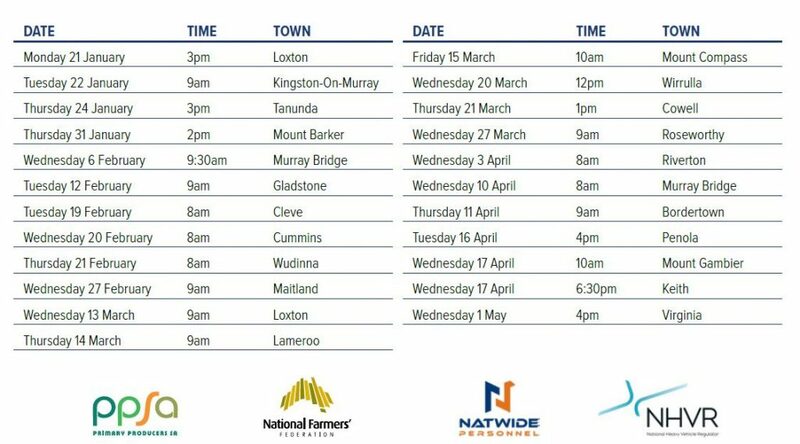 This project has been initiated by NHVR, Grain Producers SA and the National Farmers’ Federation. What does it mean for farmers? See below for the Chain of Responsibility: Flow Chart for Farmers – An important guide for farmers to find the information that best suits their needs. Step 2: How are you transporting your produce or livestock? A) Are you a farmer that owns heavy vehicles and / or a farmer who engage subcontractors with heavy vehicles to cart for someone else for a fee? If so, refer to “Step 3: Elements of CoR”. B) Are you a farmer that engages a carrier to send or receive goods? If so, refer to the Carrier Engagement Checklist. C) Are you a farmer that received or sends goods when heavy vehicle carriers are engaged by the receiver or sender rather than the farmer? If so, refer to the Heavy Vehicle Consignment Guidance. Refer to Step 4 for compliance checklists for each commodity. Chain of Responsibility (CoR) laws are concerned with the safety of activities relating to a heavy vehicle and aim to improve road safety and reduce risks within the heavy vehicle sector and associated industries, including primary production. CoR represents an obligation to those within the chain to eliminate or minimise potential risks by doing all that is reasonably practicable to ensure safety. Changes to CoR legislation were introduced on 1 October 2018, with Heavy Vehicle National Law (HVNL) amended to state that every party in the heavy vehicle transport supply chain – from farmers to commercial carriers – has a duty to ensure the safe use of heavy vehicles. 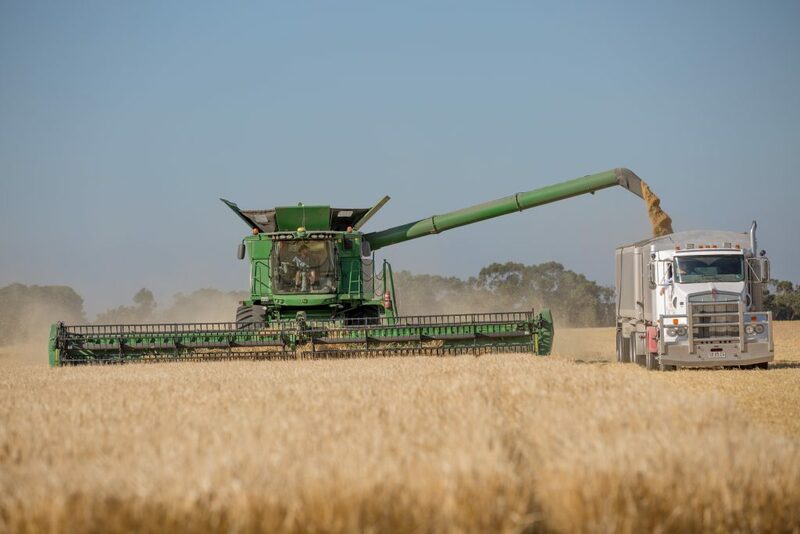 Farmers become part of the supply chain and are required to comply with CoR for a heavy vehicle if it has a Gross Vehicle Mass (GVM) or Aggregate Trailer Mass (ATM) of more than 4.5 tonne or is a combination that includes a vehicle with a GVM or ATM of more than 4.5 tonne. CoR includes both farmers who are using commercial carriers, and farmers who are using their own heavy vehicles on public roads. Regardless of whether you use a commercial carriers or your own heavy vehicle, as primary producers, you are expected to do all that is reasonably practicable to ensure safety. This includes complying with fatigue management laws, safe loading and unloading, adherence to mass and dimension guidelines, speed management and checking vehicle standards and maintenance (more information on specific tasks and who is responsible can be found in Rolling out CoR in your primary production business. Though not compulsory, an important factor to prove compliance with CoR includes having a document trail and keeping records of the steps taken to ensure compliance with these measures. While CoR may seem daunting, keeping records that you are doing all that is reasonably practicable to ensure the safety of any transport tasks you have influence and control over is your main responsibility. The National Farmers Federation have coordinated the development of specific guidance materials to help farmers with record keeping and they can be found in Rolling out CoR in your primary production business. General resources on CoR are available here: CoR for Primary Producers and CoR FAQs. Preparing and implementing a Chain of Responsibility compliance policy can help you satisfy the above requirements. But, what should be included in your policy? There is no definition in the laws as to what must be included in a compliance policy. So, the level of detail and content will depend on the position, operations, exposure and needs of your business. A principle of CoR for heavy vehicles is shared responsibility to prevent breaches of HVNL. All people or businesses in the chain of responsibility who have the capacity to control or influence safe heavy vehicle use, have a responsibility to ensure HVNL is abided by. 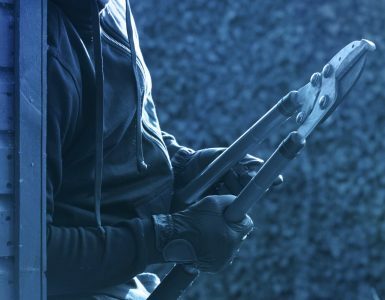 More than one person or business may be responsible for offences committed by drivers or operators of heavy vehicles and a person may be a party in the supply chain in more than one way. The responsibilities of each category which fall upon a farmer, a commercial carrier, or a farmer using their own heavy vehicles varies and more information on this is available in Rolling out CoR in your primary production business. NHVR also has a useful guide on what constitutes a consignor and a consignee. Mass and Dimension obligations under CoR include ensuring heavy vehicles access a public road within mass limits and the load is distributed across axle groups within legal mass limits and ensuring dimension limits are adhered to at all times. Fatigue Management obligations for vehicles with a GVM of more than 12 tonne (agricultural machines are exempt) under CoR include ensuring drivers are well rested and given adequate time to take their scheduled rest breaks, taking into consideration the number of hours worked. It also requires that the terms of a job will not result in, encourage, or provide an incentive to cause the driver to drive while fatigued. Speed Management obligations under CoR include ensuring a driver’s journey is realistic and safe, and there are no imposing demands which may result in a driver putting themselves or others at risk. Schedules need to be considered in regard to the distance that needs to be covered, traffic conditions and other delays at receiving sites. It is required that the terms of a job will not cause the driver to exceed speed limits. Vehicle Standards and Maintenance obligations include ensuring all heavy vehicles are properly maintained, roadworthy and fit for purpose. 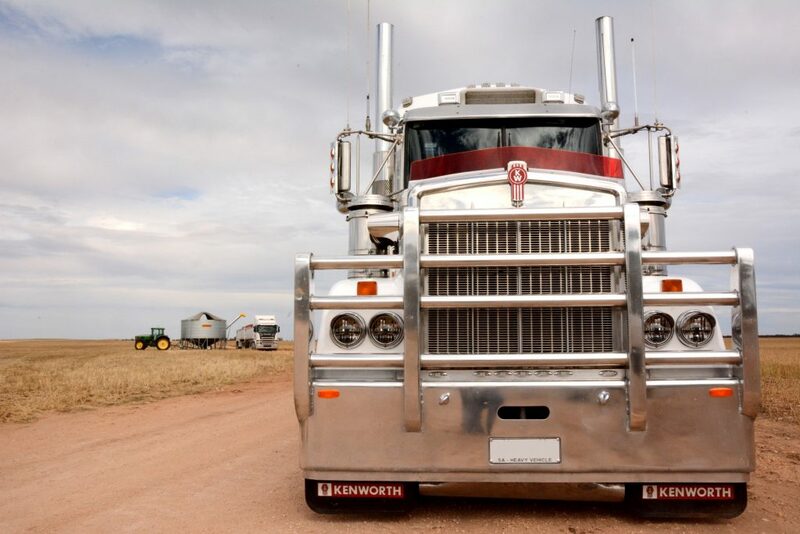 The responsibilities of a farmer or farming business under CoR can vary depending on whether you are engaging a commercial carrier or using you own heavy vehicle for related primary production and road transport activities. It is still expected that any party in the chain who has the capacity to influence and control the heavy vehicle activity, whether it be a farmer, loader or driver, is responsible for those activities and is expected to actively prevent breaches of Heavy Vehicle National Law. Are you engaging a heavy vehicle provider to send or receive goods? 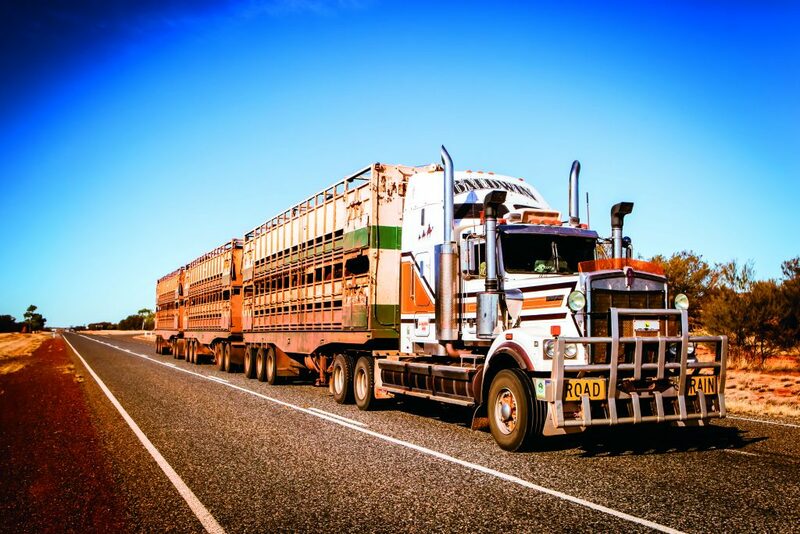 Farmers engaging a commercial carrier are not required to carry out daily vehicle roadworthiness checks, mass management and maintenance management but can fulfil their obligations under CoR by asking related questions of the heavy vehicle provider e.g. Has the driver declared themselves fit for work? Is the vehicle fit for purpose? Has there been a daily inspection carried out? Is the driver appropriately licensed? There is also an obligation for farmers to ensure trips are planned within an adequate timeframe to ensure speed limits are not exceeded and the driver will not be fatigued. A load on a heavy vehicle must not be placed in a way that makes the vehicle unstable or unsafe. Are you using your own heavy vehicle to send or receive goods? As a farming business, even when using your own heavy vehicle for transporting produce, you are still required to plan trips to avoid speed and fatigue breaches, as well as ensuring loading and unloading, mass and dimension limits, and load securing guidelines are followed. 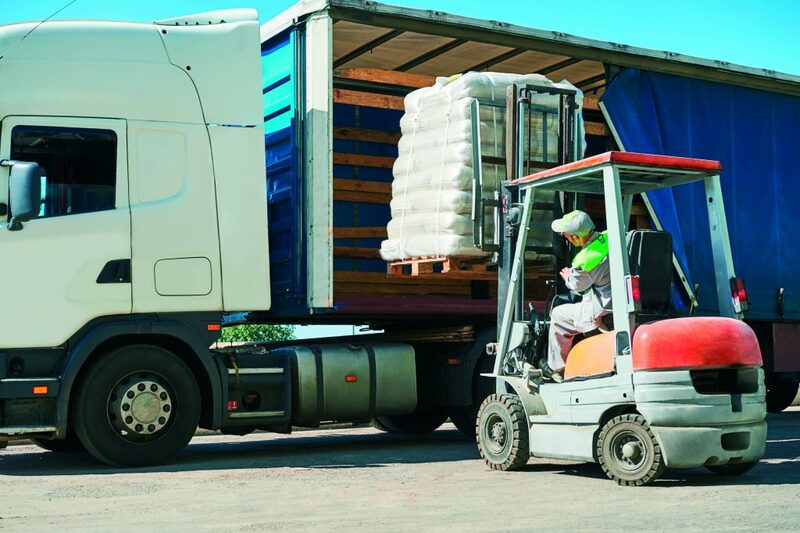 Additional responsibilities for farmers driving their own heavy vehicles include daily vehicle roadworthiness checks, and complying with mass management and maintenance management guidelines. The type of produce being delivered by a farmer or their heavy vehicle provider can change the actions and information needed to ensure CoR obligations are met. For example, a farmer having fruit or vegetables transported would need to ask themselves questions including: Does the load need to be refrigerated? Do I have or need plant health certificates? The following guidance materials have produce-specific questions which will help ensure CoR obligations are met by farmers. (Note: each compliance checklist has vehicle and driver-related questions which should be asked of the heavy vehicle provider or the farmer themselves before each transport task). Record keeping should be carried out by farmers to reduce the risk of CoR breaches and as a record of proper procedure if any non-compliance is reported or alleged. If you are concerned you have witnessed a breach of HVNL by another party or business practices that may lead to a breach of HVNL, a Heavy Vehicle Confidential Reporting Line (1800 931 785) is available to confidentially report potential safety and CoR breaches. Examples of CoR-related items to report include instances of business practices, fatigue, mass, dimension, loading, speed and vehicle standards and safety that would lead to breaches of HVNL. If you are still not sure of your obligations under CoR please refer to Frequently Asked Questions or contact content developer and CoR experts Natwide Personnel on 08 8360 2379. Click here to read Primary Producers most Frequently Asked Questions regarding CoR. Attend a free Chain of Responsibility… Made Easy! Workshop. 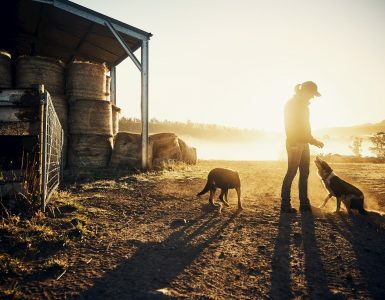 The 2019 Federal Election comes at a pivotal moment for Australian agriculture. We're calling on all candidates to get behind our practical plan to grow Australia. 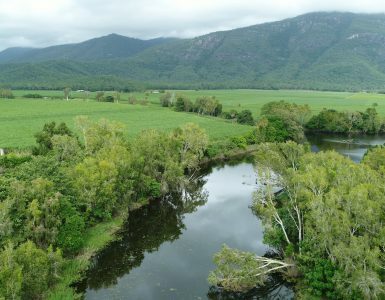 The Queensland Government is moving to further regulate farming right along the state’s east coast.